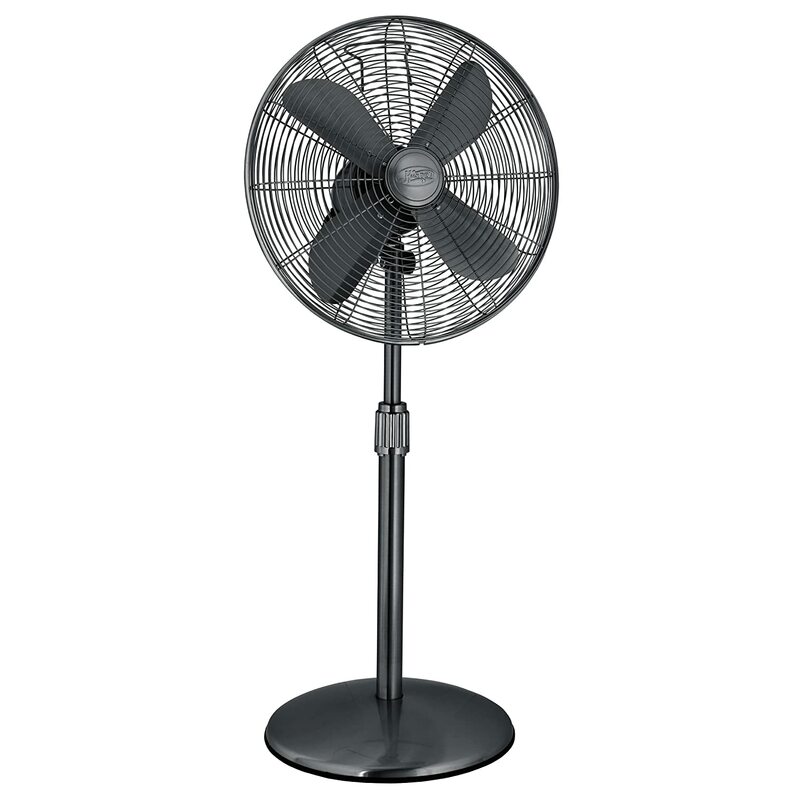 Hunter 90435 16-Inch pedestal fan brings techno style to your home. Quality craftsmanship and performance in a portable package for every room in your house. Maximum airflow is delivered by a powerful, three-speed Hunter motor. With its all-metal construction, 85 degrees of smooth oscillation, adjustable tilt and height, it makes cooling your room a breeze. No assembly is required and Hunter's Dust Armor nanotechnology blade coating repels 50 percent of dust build up. Designer gunmetal finish. Bảo hành 1 năm theo những Chính sách, Điều khoản & Điều kiện của Nhà sản xuất.